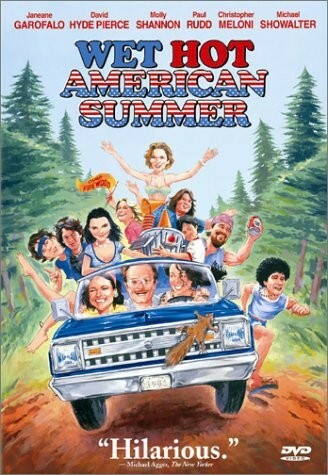 The Yenta’s Wet Hot American Summer Comes to A Close | Yo, Yenta! This entry was posted in (not-so-traditional) Tradition, Tradition!, IMHO: Book, Movie and Music Reviews, Life, Death and Guilt In Between and tagged jew camp, parents on the loose, paul rudd, wet hot american summer by Head Yenta. Bookmark the permalink. The first episode is rocky, but it gets better… and sillier.